The House of Reps yesterday directed the Ministry of Communications to order an immediate reversal of the alleged sack of nearly 3000 Nigerians by telecoms company, Airtel, pending an investigation of the mass sack by the House Committee on Communications and Labour Employment and Productivity. Na wa. They refuse to do what is necessary to make doing business in Lagos easier for companies like ensuring steady electricity or improving roads and ensuring security, but they want to tell someone how to run their business? Then they won't change the laws to protect the employees rights in the state/country and expect companies not to do as they wish with Nigerians employees? I am seriously laughing at the utter BS this country has reduced itself to. Airtel sacked its workers, what about all the companies that haven't paid salary in months? Zoom Mobile comes to mind, Timbuktu Media and Next also come to mind. very good... maybe they can pack out and take their crap somewhere else.racist animals. jobless lawmakers....how about creating enabling environments and enacting laws to help entrepreneurs like us? you can't create jobs yet have yhe audacity to force people to retain staff. Its high time appropriate authorities start looking into kind of contract and work condition these foreign and so called multi-national companies are subjecting their staff(nigerians) to. they treat the so called expertrate with high esteem, with appartment in lekki and Banana island while they cant provide common staff bus to the nigerians working for them. it so sad. This is what I love about Nigeria and Nigerians. We do not tolerate nonsense from Oyibo. I hope they will learn their lessons. Unfortunately, Indians are notorious for contravening labour laws and paying the lowest of wages, while abusing their staff. Yes, Nigerians should boycott the network. We want Foreign Direct Investment in Nigeria, but it has to favour Nigerians and not leave us psychologically and economically worse off, while the investors cart the capital away to develop thier own economies. Linda pls help us at kasmal Group oh, many of us have not been paid salaries up till now,staff are owed salaries from 6-3mnths. Its not good to interfere in a private business in such a manner. They are supposed to be law makers and ought to know the law. If this gets out in the international arena, nigeria should forget about attracting foreign investors. It is already hard as it is. If they were so concerned about nigerian workers, they should have used a little bit of the money they steal every day in purchasing airtel when it was in the market. Stop interfering in private enterprises. Enough said already. this is crazy. The govt cannot tell businesses how to run their operations. This Lawmakers should stop embarrassing Nigerians with display of their lack of knowledge of what to do generally. When they ordered immediate reversal of the sack, is National Assembly going to pay their salary? No of course. You have limited right in telling organizations how to run their business. 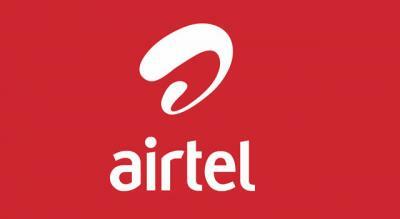 Airtel can decide to move their call centre to China if it's business cost effective. The Lawmaker should rather focus attention on making immigration rules, employment regulations, Wages & Work place policies and related matters. Outside all these and many more regulations to curb foreign organizations mal-treating Nigerians, there is practically nothing the Lawmakers can do! Boycott the network?! They've been out for 3 days! All of you coming here to talk trash and diss the law-makers, do you know that Airtel makes billions of Naira profit on monthly basis? Do you also know that the main reason behind the sack is because they want to bring in new staff that they can pay 30k in the call centre? Who says they are not making huge profits? Why support foreigners coming here to enslave fellow Nigerians? Do you also know that there are staff in that same Airtel that their take-home pay is in millions, yet the call centre staff work harder than them? Why maltreat fresh young graduates in customer care? Please keep your selfish comments to yourselves. These indians think they are can come treat us like we are working in a sweat shop. Who cares if they pay their workers 50 cents that's their business. We are humans here nt animals. Hiaaaa!! na wa 4 my naija ppl o, Dammed if u do Dammed if u dont. Shebi wen linda first brought d gist ppl wanted airtels bosses heads, now that some ppl(ur rulers) r taking action so that 3000 of ur country mehn can have work, u ppl r still crying. Na Wa. Linda, the ministry of defense employed lots of people, especially health staff since last year and posted them to different military installations all over the country. As we speak, 10 MONTHS after, those staff haven't been paid a dime as salaries, benefits or allowances. They are wallowing in penury as the authorities only seem to bother themselves with military personnel, leaving the civilians in limbo. Pls let the world know this. Thanks.